Park Forest Public Library has proven that if you build the habitat, the monarchs will come! 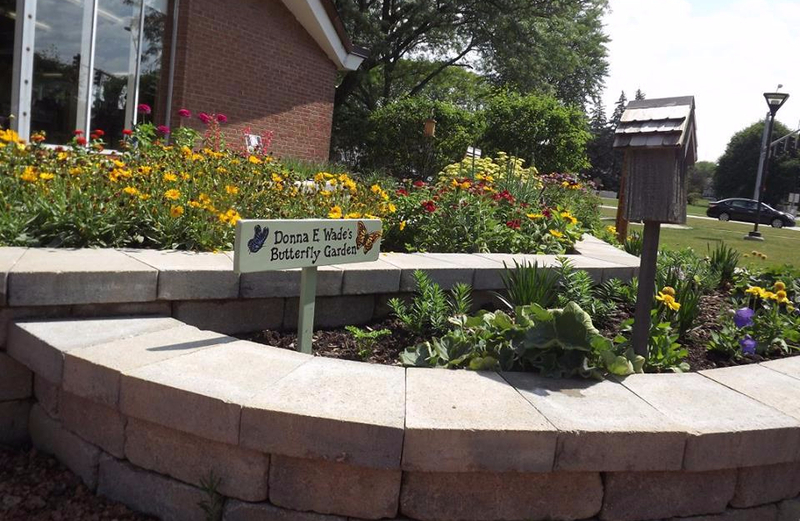 Last year, thanks to a generous donation, the library built the beautiful Donna E. Wade Butterfly Garden right outside the windows in the children’s area. The garden is planted with a variety of perennials and annuals that serve as nectar plants. Surrounding the library there is a sea of purple coneflowers, black-eyed susans, and most importantly, milkweed, and behind the library you’ll find a diversity of native plants lining the creek. Victoria Wittig, the library’s Outreach Specialist, added an herb garden last year and a pollinator garden this year, qualifying the library as an official monarch waystation with Monarch Watch. With the new butterfly garden last year, Victoria started a Butterfly Club to educate the children (and adults!) about the importance of pollinators, and more specifically the importance of supporting the monarch butterfly population. As most of us have heard, monarch numbers are decreasing due to habitat loss and fragmentation combined with pesticide use on lawns and farms. But, at the Park Forest library, there have been many more monarchs this year than last year! The Butterfly Club raised two monarchs last year. This year they have released 11 so far, with more than 11 more caterpillars growing in the vivarium, built by Coveside Conservation Products and donated by the Kiwanis Club. Victoria said most of the monarchs this year have been collected from the new pollinator garden, which has a combination of two milkweed species, bee balm, purple coneflower, gayfeather, Joe-Pye weed, phlox, great blue lobelia, and cardinal flower. In addition to monarchs, the club raised five generations of Black Swallowtail butterflies last year, and have begun to raise some this year as well. The swallowtails particularly like the parsley, dill, and fennel in the herb garden. When I asked Victoria about starting this project last year, she said finding the eggs and successfully raising the caterpillars was the hardest part. But luckily there is plenty of support if you are interested in doing this in your community or in your own backyard! 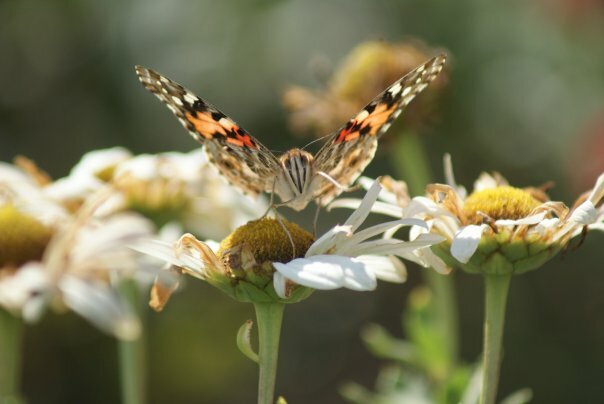 Kay MacNeil, the Butterfly Chairman for the Garden Clubs of Illinois, is a vocal advocate for monarchs and for growing pollinator-friendly gardens. She has a fantastic, in-depth video on you tube, in which she describes all of the steps of planting a monarch-friendly garden and raising monarchs, with many helpful tips to make your experience more successful. Victoria also recruited the help of the University of Illinois Extension office with planting for Black Swallowtails, and the Field Museum’s Keller Action Center to visit the site and identify and count milkweed on the property. Victoria also has the cooperation of the Village of Park Forest and the library in keeping native milkweed wherever it grows. I hope Victoria and her Butterfly Club can be an inspiration to more folks wanting to make a difference in their own communities! Be a Citizen Scientist this summer…it’s easy and fun! Citizen Science is how the public, or citizen scientists, get involved in scientific research. 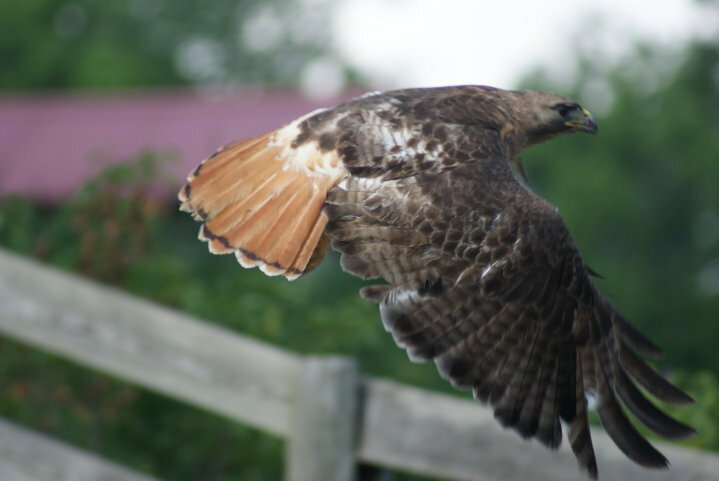 There are so many ways to participate, some as easy as monitoring wildlife in your own backyard. Some projects bring together data from all over the world to look at patterns on a global scale, other projects are local efforts to monitor and improve biodiversity. Summer is the best time to participate, especially for families with children! Here are some suggestions for great ways for you to get involved with citizen science programs. You may also check out our list of citizen science programs. Are birds your thing? For bird data, all roads lead to eBird, a comprehensive database of bird sightings across the U.S. with an interactive map. You can submit incidental sightings, and if you really like birding, eBird allows you to track your sightings and share them with birder friends. Scientists at the Field Museum use eBird, and you can explore the data to find the best places to look for birds! Check out this birding map of downtown Chicago. The insects are abundant in the summer, and there are many insect projects that welcome your observations! If you like to take photos, Bumble Bee Watch needs your photos of bumble bees. You can report your butterfly observations to eButterfly, a large database of butterfly sightings. Have you started hearing cicadas lately? If you see cicadas, let them know at Cicada Watch, where they are tracking the emergence of the many broods and species of cicadas, some of which only emerge every 17 years! If you have a good squirrel story, or want to submit a photo or sighting, visit Project Squirrel. If you see any herps (frogs, toads, salamanders, lizards, etc. ), submit your observations to the Herpetology Education and Research Project. Many of these projects, including iNaturalist, have mobile apps to make things even easier! If you want to put in a little more effort, you can sign up to monitor chosen sites for various species of plants and animals. 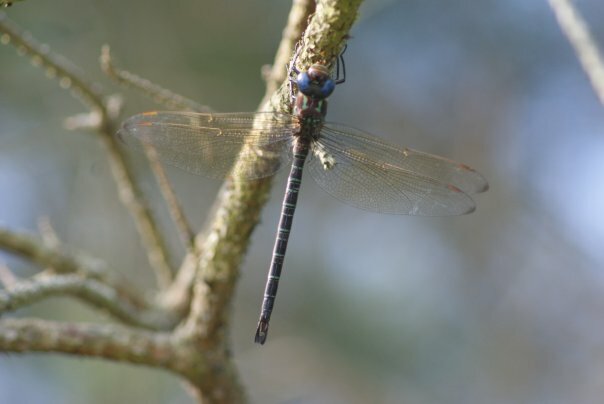 If you have a pond on your property, you can monitor dragonflies this summer with Dragonfly Pond Watch. City dwellers can monitor sites for birds using Celebrate Urban Birds. Have you seen any birds nesting around your home? Nest Watch collects data on nesting birds, but requires some training to avoid disturbing the birds. Project Budburst accepts data describing the timing of buds and flowers on plants in your yard or in your local park. Do you want to help from the comfort of your home? The North American Bird Phenology Program has a collection of bird migration cards from pre-internet days that need to be transcribed into the database. Notes From Nature needs help transcribing old museum records as well. Help the Field Museum measure photos of microscopic plants at Microplants. It’s very easy, and a great way to contribute without getting sweaty and mosquito-bitten! Help Monarch Watch collect milkweed seeds for restoration projects. Many species of milkweed are blooming now, and seeds will come soon! See these guidelines for collecting seeds in your area. Monarch Watch will send free milkweed seeds for your own larger restoration projects. Monarch Watch is also a great resource for rearing and tagging monarchs that you find on your milkweed. Hummingbirds! See this Chicago Tribune article for hummingbird-related events in the Chicago region and get out to see these amazing birds in action! 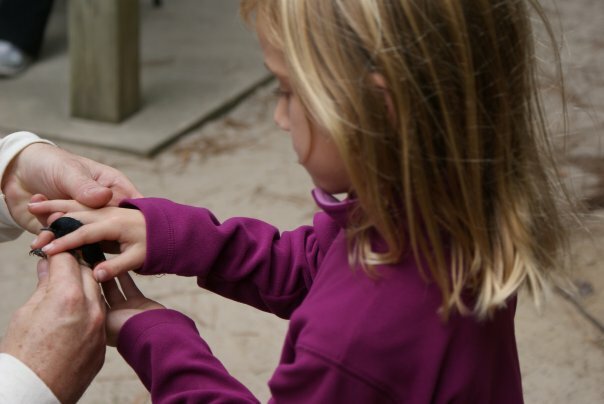 Also bird-related, every Wednesday from 9 a.m. to 12 p.m. at Sagawau Environmental Learning Center in Lemont, IL, you can check out the bird banding station and see how field biologists are working to track and conserve our migratory bird populations! A more comprehensive list of citizen science projects can be found here.